Or so she thought—until her husband left her for a woman who could give him a child… and already had. Now she’s divorced before thirty, working herself to the bone to pay off the mortgage on a house that will never be full of the children she dreamed of. Wolf shifter Arlo lost his pack years ago. He found a new home in Hideaway Cove, where shifters can reveal their true natures safe from human eyes. He has friends, a new family, a job. Everything he needs to build a life. But without a pack, there’s still a hole in his heart—even if he can’t see it. Jacqueline doesn't know what to expect when she responds to an emergency call-out in a remote marine reserve, but it's nothing like this: three lost children who can turn into seals, and a ruggedly handsome man who makes her blood run hotter than it ever has before. Jacqueline gave up on happy endings long ago. Arlo thought he’d already found his—at least, as happy as he was ever going to get. But with three unruly seal shifter kids in the mix, they’re about to find out just how wrong they were. 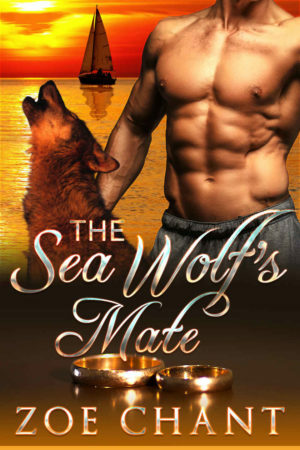 THE SEA WOLF’S MATE is a hot and heart-warming shifter romance about finding love and family where you least expect it. All Hideaway Cove books can be read as standalones, with happy ever afters guaranteed!